We are thrilled to offer this special, short production of exquisite Nepal tea from mid-spring 2018. This tea is one that has been manufactured for only a few years. We have tasted a sample of it every one of those years, and finally this year there was enough for us to be able to source it and offer it to Tea Trekker’s tea enthusiasts. Here at Tea Trekker we trust that you will respond to it as emphatically as we have. It is reminiscent of last year’s ‘Creme de la Creme‘ but is more full in flavor, shows solid briskness, and has bold, deep, flavor notes. 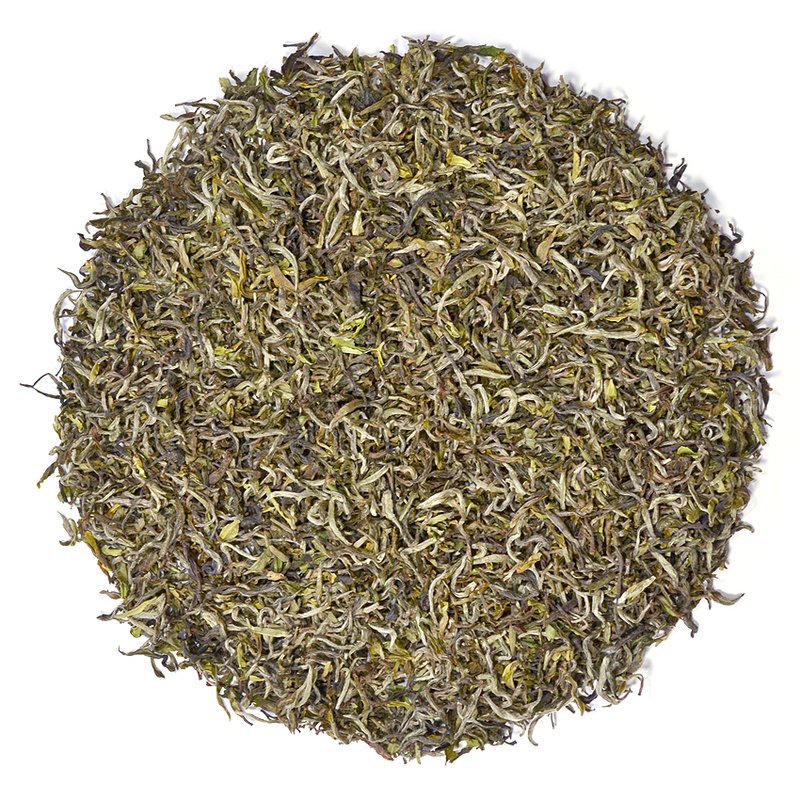 It is so smooth it could almost be mistaken for an oolong. 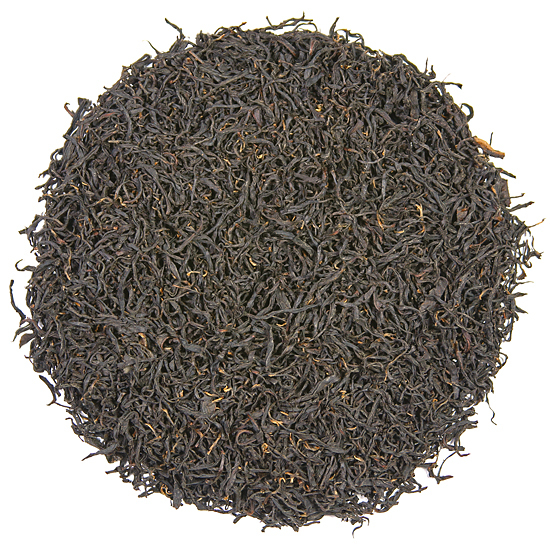 Our Nepal High Himalaya Hand-Rolled Spring Mist Black tea is a mid-Spring-pluck tea, which means it is from the harvest season that occurs in May. 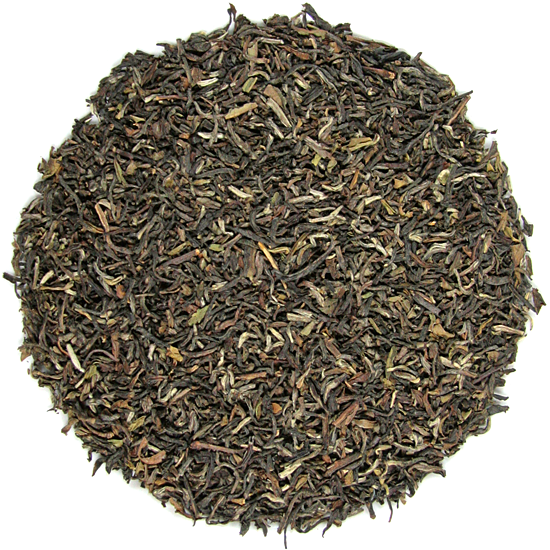 In Nepal, this short season of tea harvest often produces a limited amount of really delicious, small-lot black teas. The flavor is rich, distinctive and smooth, and perfectly astringent. The fresh leaf is medium-large and juicy, and is perfect for hand-rolling the leaf throughout the processing period of this important time of the season. This year’s production has nuances of toasted brioche and brisk fruitiness in its aroma. The flavor is appealing and broad – everything from a yeasty toasti-ness to a plummy, raisin-y, elegant stone-fruit and cherry-pip clean brightness. 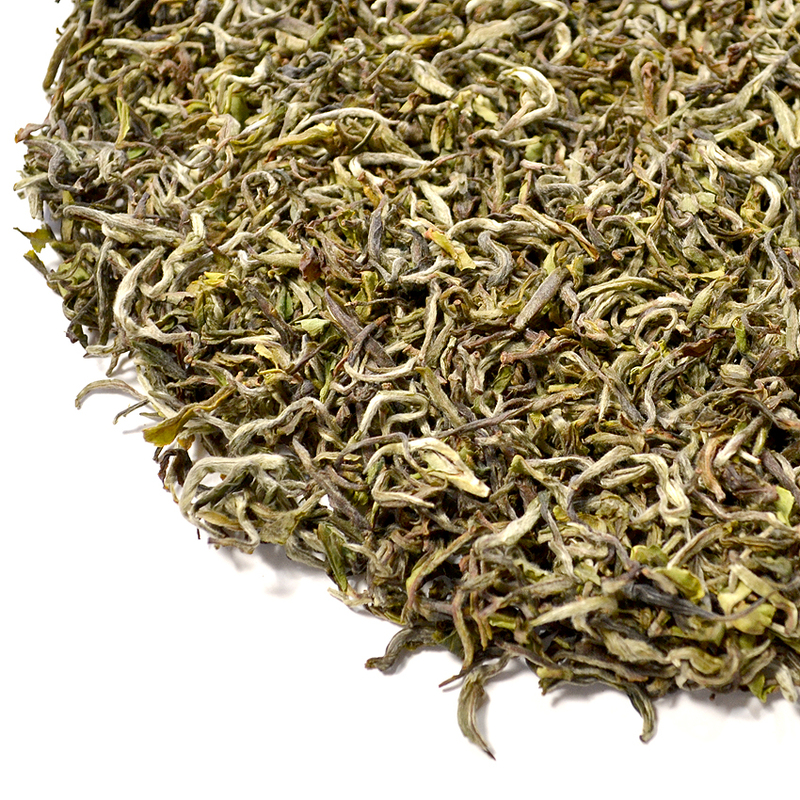 It has always been interesting to note the flavor profile similarities between Taiwan oolongs and the drupe family of fruit, but now the Nepal teas have really started to show this flavor camaraderie as well. The tea’s liquor is a stunning golden amber that is quite unlike any other tea, except a few really exquisite strip-style oolongs. The color of both the dry and the wet leaf is a rich mix of mid-summer forest greens and browns; and it really ‘shines’ after re-hydration. The over-all flavor is in-between the flavor profile that develops in our High Himalaya Hand-Rolled Tips black tea which we offer from an earlier-Spring harvest (in which case the tea is lighter) or in our very popular Everest Dark Heart which is from a significantly later Summer harvest, in which case the tea is more soft and round and full-bodied, plucked from large, mature, full-flavored leaf that has deep flavor but cannot have the finesse or beautifully-classic leaf structure that this mid-Spring pluck shows. All-in-all, this is a beautifully-made tea that does not challenge the palate but leaves it completely satisfied with layers of flavor that linger well after the tea is all consumed (after-taste, or as the Chinese refer to it: ‘returning flavor‘). 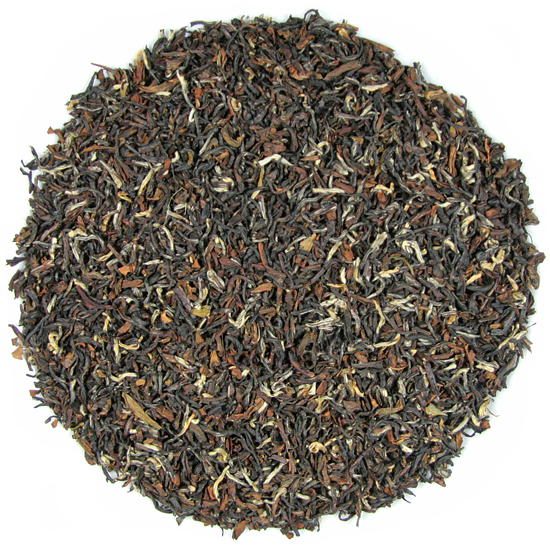 Again, this is not a variation on either the hand-rolled Himalaya black tea that we regularly have, or the Dark Heart, but is a differently elegant tea than either, with a juicy, robust style. The depth of flavor in this leaf is amazing, and it is absolutely gorgeous to observe when re-hydrated. The leaf is perfectly-formed, quite open, plump, and lofty. As the garden’s tea director says: “ a character that is bright & warm, nutty & fruity, all in a deliciously complex mix of aroma and taste; a true delight to the senses. Hand-rolling is a laborious and time consuming task that requires patience, tender touch and a passion for creation from the person rolling the leaves to ensure that everything is perfect. This is why only women are selected for this delicate task.